Yep! 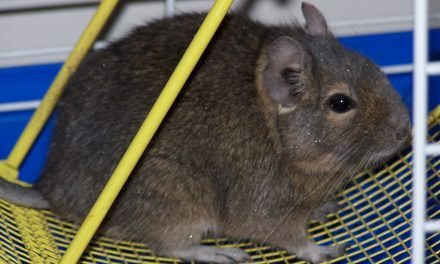 Carrots, along with many vegetables, are degu safe. 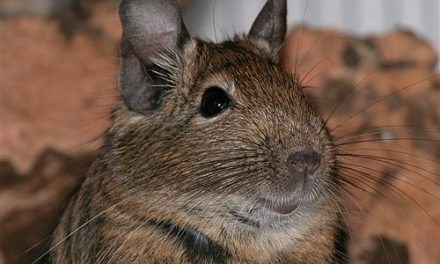 Now – whether a degu will eat them? That’s a whole other question. Typically my degus will take the carrot and leave it somewhere till it dries out then they’ll eat it. This is concerning because the longer food sits out the more bacteria can collect on it as well as a moist carrot on bedding is a recipe for mold if you don’t remove it withing a few hours. So these directions to dry carrots were really interesting to me and I just had to try! Get the big carrots, not the baby ones. They’re much easier to work with. First, I wash them off with a vegetable brush and peel off the skin on the outside. You can either compost this or throw it away. Then once I have clean carrots I start shaving them with the vegetable peeler onto a paper towel. the paper towel start absorbing some of the moisture that we are going to bake out int he next steps! Preheat the oven to 200 degrees (Fahrenheit) and arrange the carrot shavings on a clean baking sheet. Spread them out thin so they don’t overlap. When the oven is preheated bake your peels for 45 minutes. Open your oven for a minute every 5-10 minutes to let out the steam and moisture. We are actually just drying out the carrot peelings not cooking them. We want the moisture to leave the carrots and the oven so the typical steam vent for your oven will not be enough. Stir up the peelings about half way through. After 45 minutes turn your oven off and leave it cracked open and let the carrots stay in the oven for another 15 minutes. Then take out the cookie sheet (with a pot holder: it may still be hot) and let the carrot shavings cool for another 15 minutes. Step 5: Bag ’em up! Once your carrot shavings are cool to the touch put them into a Ziploc bag or another airtight container. Store in a cool spot. 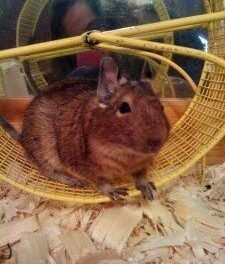 I keep mine on my shelf with all my degu paraphernalia. 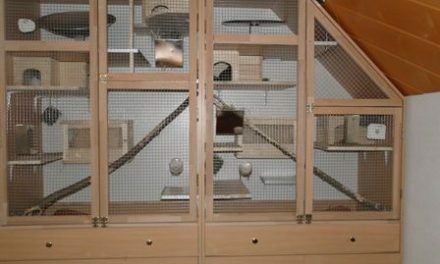 Now you have a great snack for your degu! 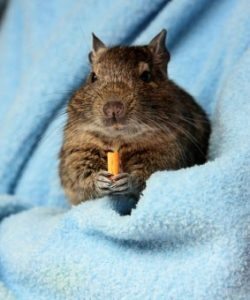 Read on for more great degu snacks around your home.